Please accept our obeisances and best wishes. All glories to Srila Prabhupada. 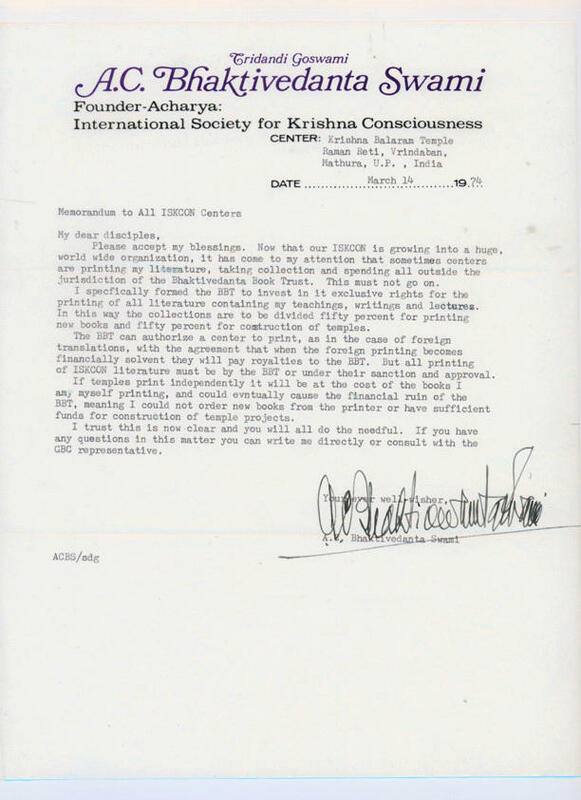 Here for your thoughtful attention is a letter from Srila Prabhupada, dated 14 March 1974, in which His Divine Grace expresses his clear directions regarding the publishing of his books. 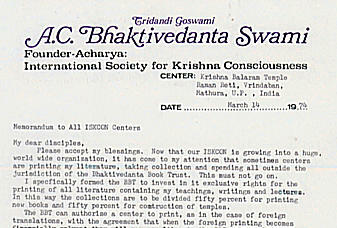 Srila Prabhupada sent this letter to all ISKCON centers throughout the world. Independent printing, Srila Prabhupada explained, would be at the cost of the books he himself was printing and could even “eventually cause the financial ruin of the BBT,” thus preventing the book trust he had established from ordering new books on his behalf and having sufficient funds for construction of temple projects. We are here bringing to light Srila Prabhupada’s desire and directive in this matter so that everyone who wishes may faithfully follow His Divine Grace by honoring the letter and spirit of his important instructions. 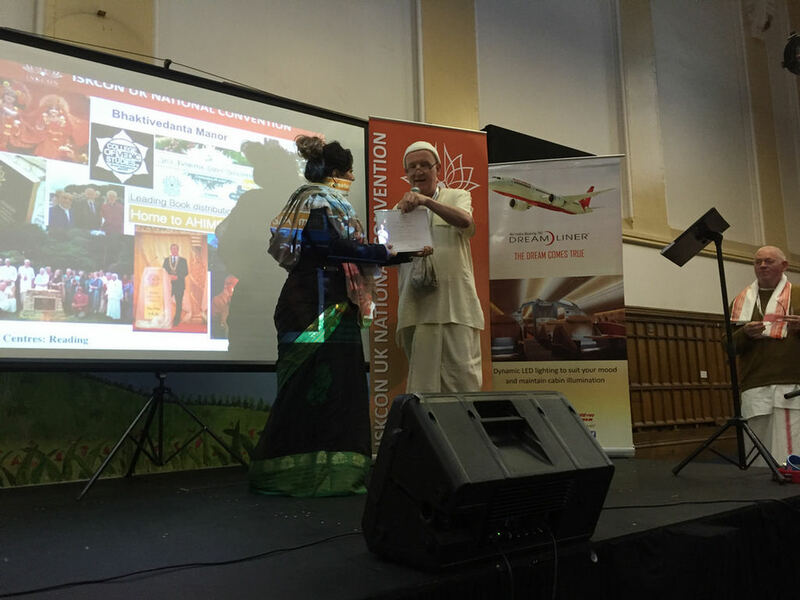 We also encourage you to inform other ISKCON devotees and followers of Srila Prabhupada to do the same. If you have any questions about Srila Prabhupada’s desire for us to buy his books exclusively from the BBT, please ask your local GBC secretary to answer them for you. 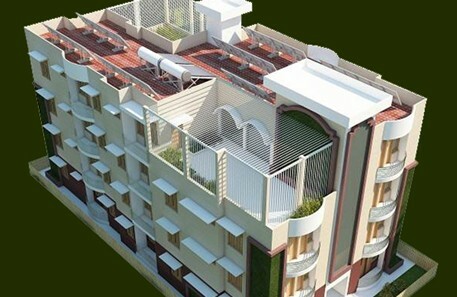 Clearly, Srila Prabhupada wanted only one exclusive publisher, and during his physical presence this is what he insisted upon. At least for all the members of ISKCON, if not for all his disciples, we believe that this is what he should still have.